Last weekend has been really an adventure, even more… it has been a jump in my deep script. Organising so intense a meeting, as a two-days residential seminar with Charon Kransen can be, this is the real jump! For me this has represented a real start, like having traced a line after which all has to be re-thinked and designed on a convergent path. It is hard to put everything together but in a certain way I reached that certain point of no return and it is time to face it off! Dear collegues, how do You feel after this experience? My name is Senay Akin. 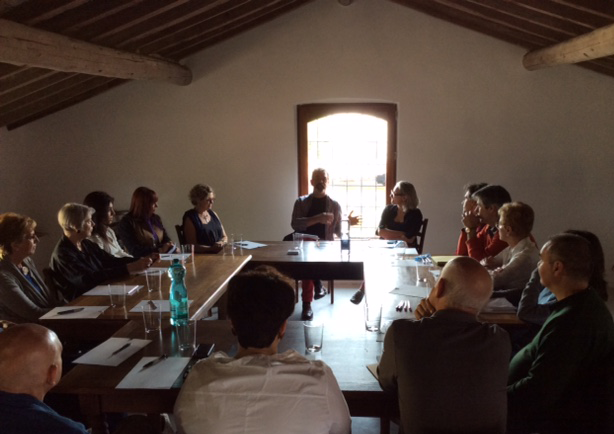 I travelled to Italy in order to attend “Re-writing your own script” workshop. It was rather a journey to my inner-self as well as journey to a favorite land. It was a very deep, intense yet joyful experience. One that you wouldn’t miss!